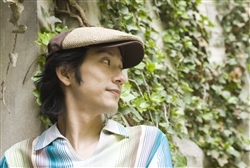 TSUNENORI ''LEE'' ABE is the founder, arranger/composer, producer, performer and leader of the Boston-based vocal quartet, Syncopation, which has been performing at numerous jazz festivals and clubs in the U.S. and Japan. Lee is also active as a solo jazz vocalist/singer-songwriter and frequently visits his homeland to give clinics and workshops. As a graduate of the Berklee College of Music with a dipolma in Jazz Composition, he has worked with jazz luminaries including Grammy recipient Phil Wilson, Luciana Souza, Tiger Okoshi, Carlos Kanno and Richard Evans.